In brief: Lego has announced another sports vehicle kit that's likely to appeal to car fans. 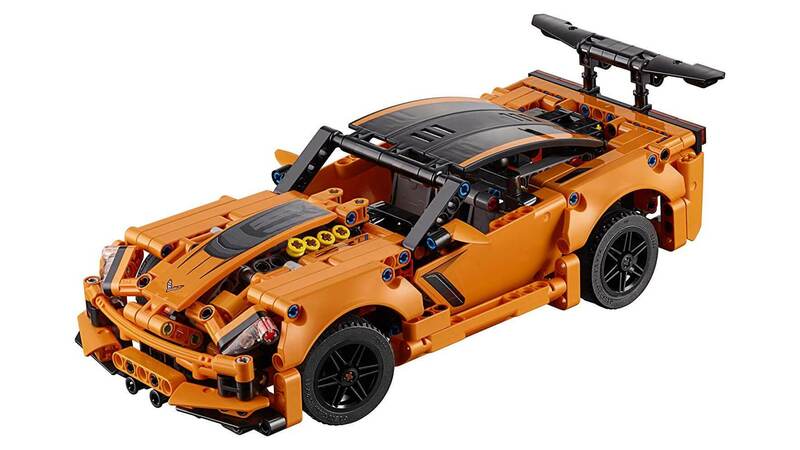 This time, the company is releasing a Lego Technics set based on the ZR1 variety of the Corvette, but it has some advantages over the company's previous products: it doesn’t cost hundreds of dollars, and you can build more than one type of vehicle. Earlier this year, Lego released a 1:8 Bugatti Chiron kit that came with 3599 pieces and moving parts. This $349 box set was the latest sports car from the Lego Technic line, which includes a 2704-piece Porsche 911 GT3 RS that costs $300. The Corvette isn’t quite on the same level as the more expensive sets, though it still looks pretty snazzy and has working steering and moving pistons in the replica V8 engine. It’s also around half the size (11 inches in length) but will cost a wallet-friendly $50. Another advantage the Corvette has over its counterparts is the ability to transform into a different vehicle. The kit comes with instruction on how to build a vintage Hot Rod, so you can decide which of the two cars to display proudly on your shelf. Back in April, the Porsche Museum in Stuttgart, Germany showed off a life-size 911 Turbo made from giant Lego bricks. The piece is a scaled-up version of the 911 Turbo 3.0 found in Lego’s $30 Speed Champions set, which also comes with a Porsche 911 RSR. The Chevrolet Corvette ZR1 from Lego Technics will be available from January 1.